The best way to get a feel for Tel Aviv, Israel is by walking it. Aim for a neighborhood, walk around, stop at a local cafe or bar to enjoy the natives and the atmosphere, and then walk some more! Use the links below to explore where to go and what you can see in lively and relaxed Tel Aviv. Need some help to discover the city that never sleeps? Try one of our customized Private Tel Aviv Tours. 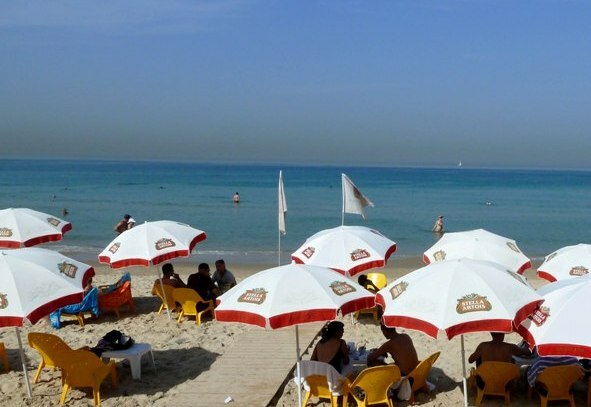 You haven't been to Tel Aviv if you haven't soaked up the sun on one of the stunning beaches. Some beaches are perfect for young children, others are thriving single scenes. Some beaches are quiet and tranquil, some are great for people watching. There are the surfers beaches. 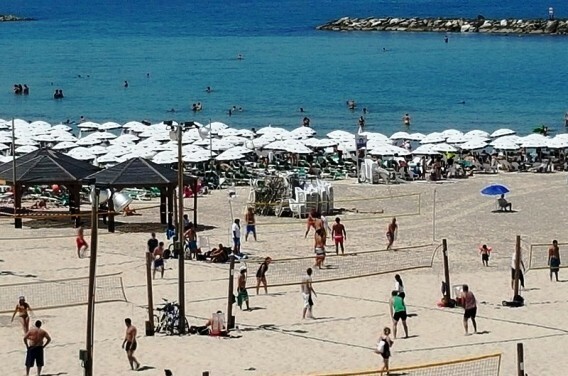 Beaches with volleyball courts, playgrounds and outdoor gyms. There is even a dogs beach, a gay beach and during the summer, a unisex beach for religious people! Click on the pictures or links above to learn more about which beach best suits you. Stroll the winding alleyways, historic buildings, the port and art galleries in lovely, old Jaffa Israel. Enjoy some of the great seafood restaurants and authentic Arab cuisine in Jaffa. Explore Sarona, a village oasis in the heart of bustling Tel Aviv. You will find charming, historic homes, great food and drink, shopping and even an underground tunnel. 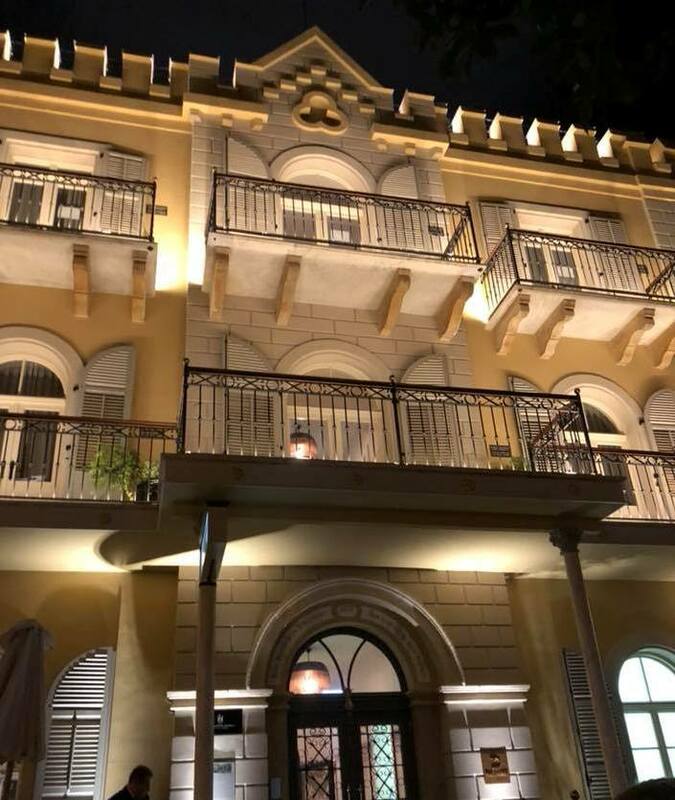 Discover Tel Aviv-Yafo's distinct streets and neighborhoods - Neve Tzedek, cool Florentine, incredible Bauhaus architecture around Rothschild Boulevard and more. Walk and taste your way around the colorful outdoor markets. 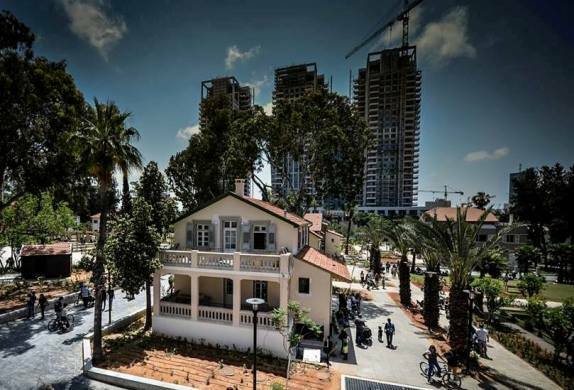 Visit the Old Train Station Complex, in Hebrew HaTachana - to get a feel for old Tel Aviv. It's a fun spot with great places to eat, art exhibits, shopping and lots of kids activities during holidays and the long Israeli summer. Day or night, there is always something happening at the Tel Aviv Port. Enjoy the seaview, walk around and discover the Indoor Market. Lets the kids run around and play. Have a bite or a drink at one of the many port cafes and restaurants. The Tel Aviv and Israel art scene is vibrant. There are art galleries to explore all over the city in the different neighborhoods. Find some of our favorites listed here. 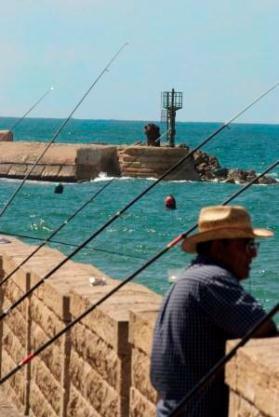 Walk or bike around the still authentic Jaffa Port. On Fridays, you can enjoy the outdoor shows and activities for kids and adults at the port. Explore colorful, authentic Carmel Market. 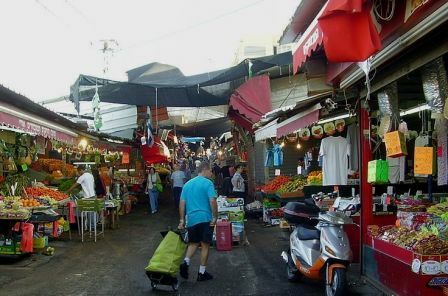 Browse the market lanes and stalls as you enjoy the sights, smells and tastes of Tel Aviv's oldest and most popular food market. 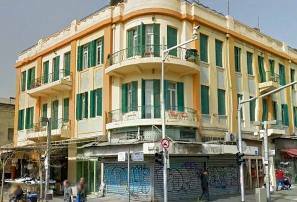 Walk down Allenby Street, one of Tel Aviv's oldest and most interesting roads. You'll find historic buildings amid chintzy shops, a variety of restaurants, graffiti and some great bars and clubs. Discover the unexpected in Tel Aviv. The American - German Colony is full of New England style buildings and quaint charm. Don't miss Tel Aviv's roaring nightlife! Discover the best clubs and parties in the city that never sleeps. 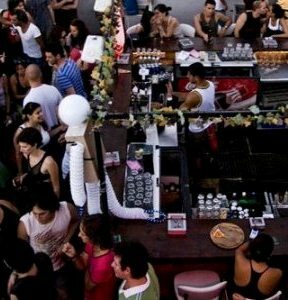 Tel Aviv hosts the best international DJ's and has a great homegrown crop of DJ's playing house and trance music. Shop till you drop! Shopping in Tel Aviv Israel is eclectic. You can shop for bargains in the outdoor Carmel and Flea Markets, or discover Israel's young designers at Sheinken and Dizengoff Streets. There are literally hundreds of pubs and bars in Tel Aviv. Wine bars, hipster bars, dance bars and seaside pubs. Walk around the city and discover them on your own, or read about Favorite Bars in Tel Aviv. 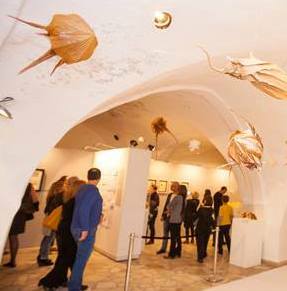 Take the time to visit one or more of Tel Aviv's unique museums. The Land of Israel Museum, the world-class Tel Aviv Museum of Art, the Museum of the the Jewish People and many more... Read more in our Tel Aviv Museum Guide. Kikar Hamedina in the north of Tel Aviv is the center in Israel for posh and designer shopping. This is the place to go for international brand names in fashion, home couture and jewelery. 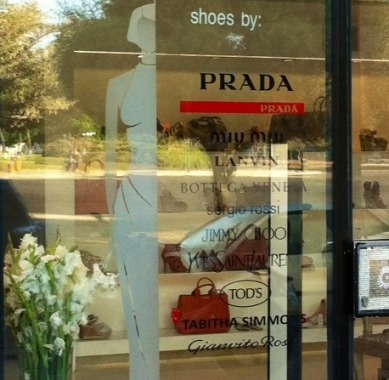 From Dior, Prada and Moschino to Stella Mcartney and Tom Ford. As the unofficial cultural capital of Israel, Tel Aviv offers non stop entertainment options. Find out about Tel Aviv Israel music, dance, art, sports, fashion and other events. Families will love the Tel Aviv Israel Zoo and Safari. 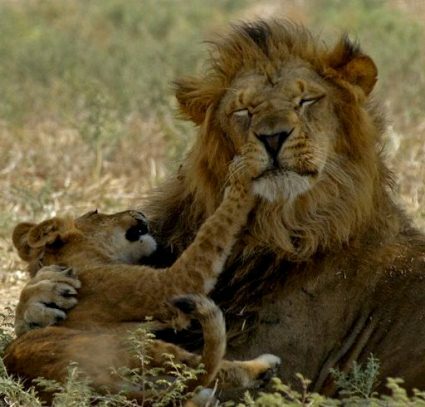 It's just a 15 minute drive from Tel Aviv with a drive-in Safari, a special Lion Safari, a Zoo and amazing insider guided tours for kids.